SUP lessons are available on the Sunshine Coast all year around. Learn to SUP in the pristine, warm and crystal clear waters surrounding the Sunshine Coast, and choose from one of our 3 convenient locations – Bribie Island; Currimundi Lake; or Redcliffe. 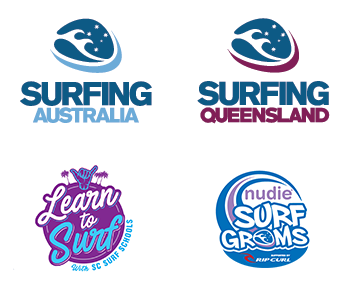 Sunshine Coast Surf Schools offer fully approved SUP lessons under Surfing Australia, and our lessons and coaching programs are all endorsed by the Australian Sports Commission. 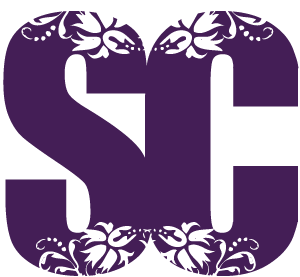 We are all about providing you with the best learn to SUP and SUP coaching experience available on the Sunshine Coast! Take a SUP lesson at entirely your own pace and comfort level! Our One-2-One SUP lessons will get you started with learning how to manage a paddle board, paddle and stroke techniques to create a leisurely experience or a total body workout! We have a range of boards to suit all ages and sizes. All equipment is included. Our Private Group SUP Lessons are a flexible private lesson option, where you can bring a few friends along to join the experience. Our staff to student ratio is kept at 1:6 ratio to ensure your safety and learning. All equipment is included. Our Women on Water programs are a 3 pack of lessons designed for busy women to enjoy the social side of paddle boarding! Women of all ages are welcome! We can also custom design a program to suit your group! Stand Up paddle boarding is a gentle challenge for people with a disability. Single event or multiple sessions can be scheduled for specific groups. All equipment is included. One of Queensland’s few relatively untouched island paradises, with over 80% zoned National Park. Its beautiful white sandy beaches, warm waters and small rolling waves make Bribie Island the ideal location for the beginner surfer. Bribie Island is the closest patrolled surfing beach to Brisbane and is linked to the mainland by bridge, making access extremely easy for those travelling from Brisbane and surrounding areas. Lessons are delivered on the calm side of the island, with a number of locations available to ensure a safe and enjoyable experience. Our primary location is Air Forces park at Bongaree, with a long shallow area available close to the beach. Parking, toilets and BBQ facilities are close by. Located on the southern end of the Sunshine Coast (north of Caloundra and an hour’s drive from Brisbane. A beautiful quiet setting with parking, BBQ facilities, toilets and cafes close by! Sand bottomed lake, protected from the wind, with a number of creeks to explore if you’d like to go for a cruise! Ideal for making a start on flat water in preparation for taking a SUP into the waves! Situated just 30 minutes north from the centre of Brisbane, our lessons are delivered at Suttons Beach. Looking out into Moreton Bay, it’s a perfect spot to paddle as you take in the sights! Sand bottom flat water beach with no waves to contend with! Sunshine Coast Surf Schools can design a customized SUPing program to suit your groups needs! For more information on SUP lessons for Community Groups, School Excursions and Private Events, please contact Sunshine Coast Surf Schools by email, or call 0404 073 873.